God wants to bless you—yes, YOU! God will provide abundantly for you to accomplish His will! God has created you with a special calling, and He will provide all that you need to accomplish His will. When you learn how to be grounded in your finances, you open the doors to Heaven’s provision in your life. God has given the power over money to YOU! With any gift in support of T.D. Jakes Ministries, request Grounded in Finances today and begin your journey to the abundance of God’s calling. As a bonus, you will also receive the Season of Favor Journal. Take back control of your finances and find the favor and abundance God has for your calling. Are you positioned for favor? For your gift of $100 or more this month, I will send you my book, The Great Investment: Balancing Faith, Family, and Finance to Build a Rich Spiritual Life. I’ll also include the powerful Positioned for Favor DVD series, with in-depth teaching on how to prepare for the blessings God is ready to pour through you, plus the other resources. 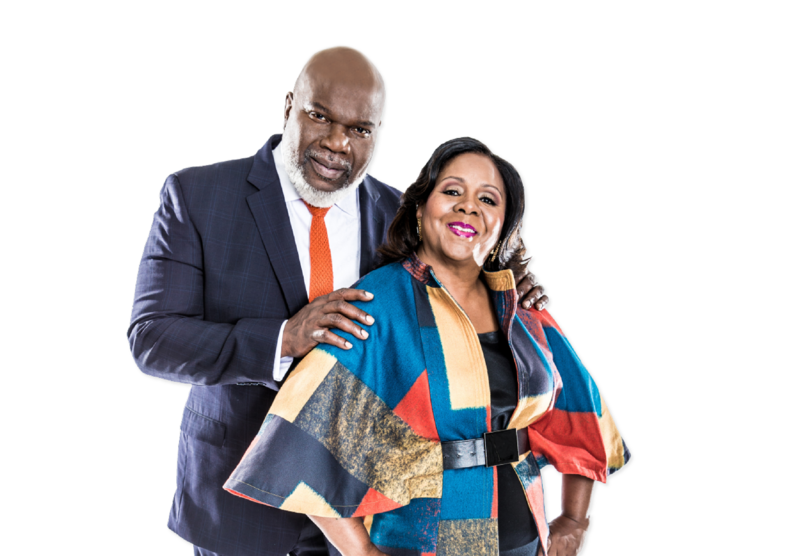 This month’s TV offer includes The Great Investment: Balancing Faith, Family, and Finance to Build a Rich Spiritual Life and the powerful Positioned for Favor DVD series. I am excited for the plans that God has for you, and I’m praying for you as you embark on this journey of favor.